Fall is on its way out and Winter is here! A winter wedding can be just as a magical as a wedding in any other season, such as the summer. As with planning a wedding in any season, choosing a design for your winter wedding invitations can prove difficult. Here are some ways to ease that stress. Besides wind chill, flu season, and less sunlight, snow is probably the classic symbol of winter. Winter is typically closely associated with the holidays as well, so it can get tough trying to pull off a winter theme for wedding invitations without classic Christmas symbols (read: Christmas trees) trickling in. In trying to separate the festive stuff from your wedding planning, it can equally be tough to find a snazzy enough wintry design to use for your invitations. 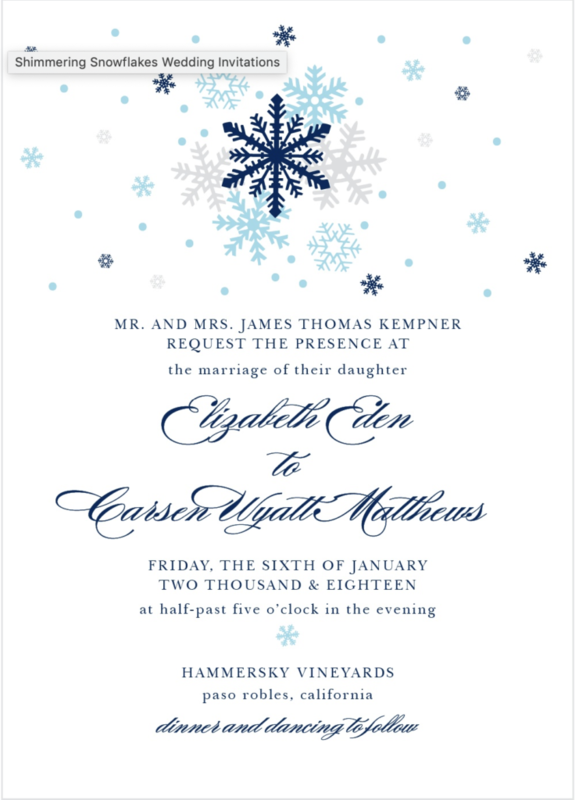 Winter brings snow and snow brings snowflakes; pair those together and you get wedding invitations with snowflakes. Not too plain, not too festive but just right! An address collection service beats keeping an address book you update yourself any day. When you order wedding invitations, this service typically comes free of charge. You receive a link that you share with your guests. Your guests click on the link and input their information for the paper invitation. It might seem daunting or spammy sending a link to your guests, but it’s convenient. We all have busy lives, so this service makes gathering your addresses pain free. 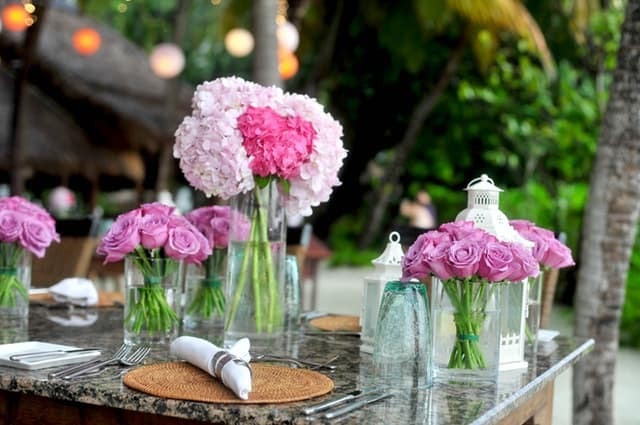 Picking colors for a wedding is a well-known sticking point in overall wedding planning. This is understandable, because once the colors are picked, they are utilized everywhere in your wedding – including your invitations. For a winter wedding you might want to pair a super light color with a super dark neutral (or not) color. Whatever you successfully pick out, you want it to be tweaked perfectly. It will make your life easier to pick and tweak with a color picker that gives you unlimited colors. Seal and send invitations are the all-in-one of wedding invitations. Just because they are all-in-one does not mean they are one-size-fits-all. It’s easy and fun to pick out a trendy design with these types of invites. Seal and send invitations have all the essential pieces of a wedding invitation. The best feature about these types of invitations is that they don’t require envelopes. They’re often cheaper than your standard invitations as well. Custom wedding coasters can tie everything together. They’re a nice addition to any wedding planning process and can complement your winter invitations too. In addition to the invitations themselves, wedding coasters can be a nice token for your guests because they can keep them! A lot of thinking goes into planning wedding invitations and it’s easy to understand why. Hopefully, With the above suggestions, creating your perfect winter invitations should be a breeze now. America wouldn’t be the land of the free without the brave men and women who fight for our nation. They sacrifice holidays, birthdays, and sometimes their lives to protect us. It is important to keep in mind the importance of what they have chosen to do and to thank them in any way we can while they are overseas fighting and upon their return. 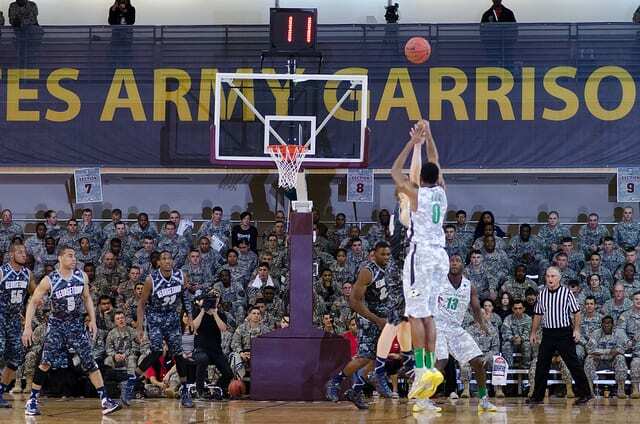 Sometimes soldiers are stationed right here in the United States, whether it is for training or security purposes. A lot of the time they can’t get leave time during the holidays to go home or they simply can’t go because it is too far. There is no better way to thank our service men and women during the holidays than to open up our homes and share a meal and a blessing. There are several groups that can make arrangements for you or you can contact your nearest military base to “adopt a soldier,” and make someone’s holiday special. 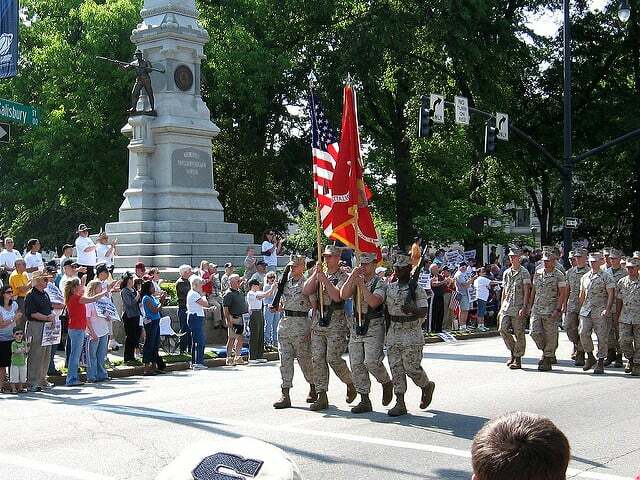 Approximately 200,000 men and women in the service return to civilian life every year. Upon their return, they need employment. To assist in the hiring of a veteran is a wise investment of your time. They possess leadership skills, strong work ethic, and are dependable, making them a perfect addition to any company. If you own a business or know someone who does, or work as an HR recruiter, do what you can to promote the hiring of returning service members. Even if you can’t do anything extravagant, you can offer a simple “thank you.” According to the U.S. Census, there are over nineteen million veterans in our country and more than nine million are over 65 years old. If you see someone in uniform or sporting a veteran’s cap, offer them a thanks for their service and shake their hand. If you are able to, offer to buy them a meal if you see them in a restaurant. Thank their families as well, they sacrifice just as much even if they are thousands of miles from the front lines. Spouses and other family members of service members have to juggle things to get by on their own while their loved one is gone for long periods of time. They too should receive recognition and thanks for their support. Imagine this: you just completed your day, got back home, and are ready to relax with your favorite snacks in your hands, and your TV, laptop or phone in front of you. Everything seems fine and gets even better when you remember that the week will carry the birthday of someone who’s fairly close to you. The thought brings a smile to your face, but what’s that nagging feeling at the back of your mind? You have forgotten to buy a birthday gift. If you can resonate with the aforementioned situation, then you are not alone. That nightmare scenario has happened to most of us at least once in our lives, and thus we understand how the dreadful feeling could sink in. However, for those who do not want to feel the wrath, coldness or simple indifference by their loved one for forgetting to buy them a birthday gift, My Gift Stop deems to be the perfect answer to their desperate calls for help. To outline the kind of products that you can find at the platform in terms of last minute birthday gifts, we have put together a brief list that can please even the fussiest of recipients, so instead of getting a frown resulting from showing up at their door empty handed, you get to receive a cheerful grin when they open your thoughtful present. When it comes to luxury watches, Movado’s name needs no introduction. The Swiss company is known for its sleek, elegant yet magnificently stylish watches which are a surefire way to make a statement of success, confidence and brevity – since just by the mere action of sporting the watch, the wearer can exude all these qualities to any room which they enter. In particular, the Movado Red Label 0606283 Automatic Stainless Steel gets to be a timeless beauty with the watchmaker’s signature dial and a bracelet style that is not just aesthetically pleasing but immensely comfortable as well. What makes it a great contender for a choice gift is that it is being offered at a price of $1,029.49 instead of its usual $1,695.00. Needless to say, it’s an offer that you can’t miss and the recipient of the gift can’t dislike. If Movado gets to be a household name for watches, then Kate Spade certainly holds the same for women’s handbags. While the legendary designer herself passed away recently, her creations and the empire that she created has left a legacy that is prevalent for generations of young girls, who now, in their motherhood have made it a tradition to pass their own Kate Spade to their next in line. This makes Kate Spade more than a handbag and a special gift with sentimental value to it. This Kate Spade WLRU2155-686 Grand Street Neda Wallet in hot pink seems to carry over the same tradition. No matter who you are buying this for, it is certainly going to bring a smile to their face. Waterford’s crystal is renowned for its clarity, sheen and overall beauty. Due to the variation in its products, Waterford crystal makes the perfect gift for anyone whether it is someone in your personal life or in your professional circle. Same holds true for the Waterford crystal tumblers and glasses, which would give anyone a reason to break out that perfect vintage that they would be saving for a special occasion. While not compromising at their magnificent craftsmanship, My Gift Shop manages to offer a great deal on this wonderful choice of a birthday gift. 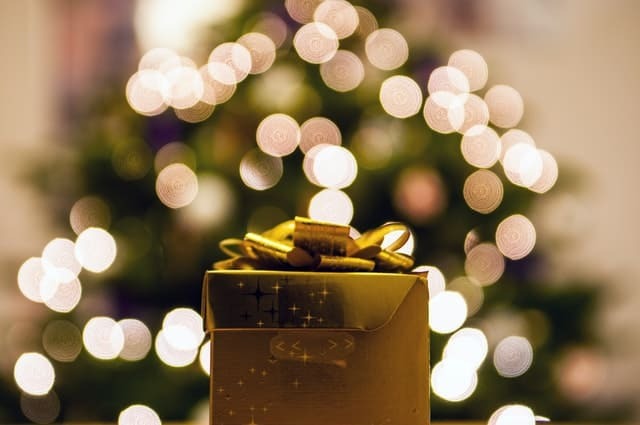 If the recipient of your gift happens to be a child, then this makes things difficult, since you never know what these harshest critics in the world would have to say about your birthday present. However, My Gift Shop offers great deals on gifts that are sure to strike a chord with that fearsome bundle of joy, especially in its offerings of Lego Wall Clocks. 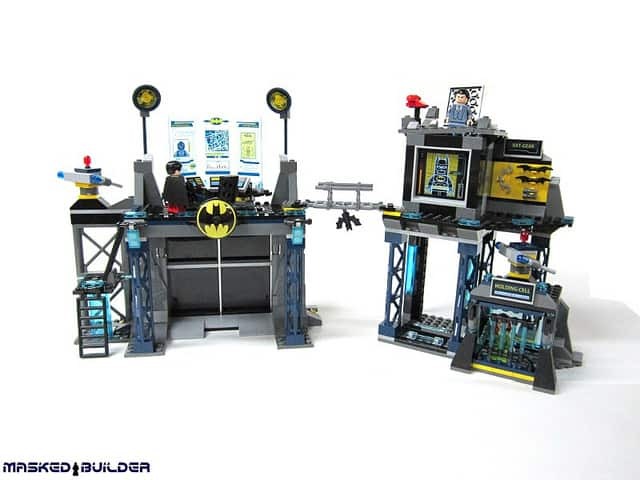 Inspired from the line of Lego’s recent flicks, The Lego Batman Movie and The Lego Ninjago Movie, these wall clocks give kids the opportunity to have the characters of Batgirl, Robin and Nya stay in their room as an ever-required instrument that does not only add to the décor of their room but also serves as a useful way for them to stay organized. Being readily available with its rapid delivery for last minute gifts for men and women that range from luxury products to niche items, My Gift Stop is the choice vendor for those who want great deals without compromising on quality. What sets the gift shop apart from other vendors is that it also adheres to its corporate social responsibility by donating 5% of each sale to Direct Relief, the global medical relief non-profit, which means that for every purchase you make on the site, you are contributing towards the good of the society. My Gift Stop is definitely recommended for purchases that cannot be anything but high quality while also giving you the ease of mind of being delivered on time. Tying the knot with your loved one not only marks the beginning of a new chapter in your life, but the day itself leaves lasting memories that you and your new family can cherish forever. That is why, it is very important that your perfect day actually gets to be perfect and provides an unforgettable experience to you and your guests, so that you always have a smile on your face when you think back to it, no matter if down the line of a few days or a few decades. 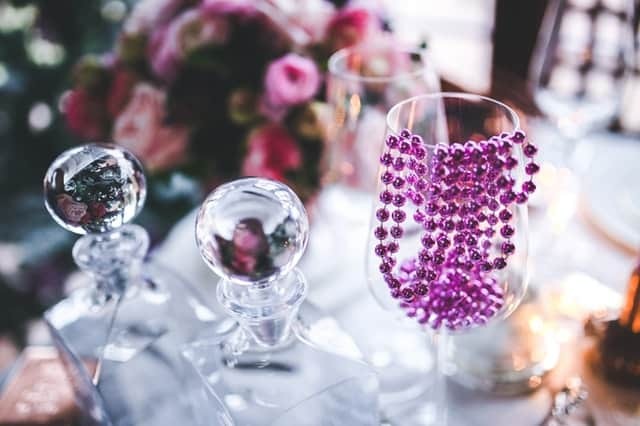 Due to this reason, many couples opt to making their wedding a themed affair which transports them and the attendees to a different world altogether. Lately, we have seen themes ranging from fairytale weddings to Harry Potter receptions, and from medieval celebration to Marvel nuptials – but to most romantics, nothing beats the rustic, real word charm of a country wedding. Filled with countryside design elements, wooden backdrops and hearty food, a true country themed wedding is bound to provide a pleasant and romantic experience to anyone who is a part of it. What adds to this option is the fact of how easy it is to put together a country themed wedding, where all you need to have is a good head on your shoulders and a clear line of thought on what you want from the special occasion. If yours or a loved one’s wedding is just around the corner, then the following to-do list might be exactly what you are looking for in order to make it into a memorable affair. Get Those Invites in Check! Any great event starts right from the invites, and this holds exceptionally true when it comes to weddings. Therefore, for the kind of wedding that you have in mind, finding country theme wedding invitations should be on the top of your list. The process is actually not difficult if you know where to go and which vendor to choose from, which again is an easy task to pull off seeing that you can now order invites online. Basic Invites is one of those wedding invitation vendors that specialize in a vast variety of options while also keeping their customer’s needs in check. You cannot only order sample invites from the site out of the more than 800 themed sets that it offers, but can also set up a digital invitation website to let your friends and family know about your big day in case they live hundreds of miles away! The choice of a menu for a themed wedding seems to perplex even the best of hosts, and it remains quite understandable since tying foods to a theme is not as easy as it sounds. However, with proper knowledge and with just a few minutes of reading about great food pairings, you can ensure to devise a menu that would not stick out from the rest of your wedding but gel perfectly well with it. Food Network does a great job of providing tips on themed menus for weddings, and by using the site, you can ensure to get all the information you want to have your wedding menu be just as talked about as any other aspect of your special day. 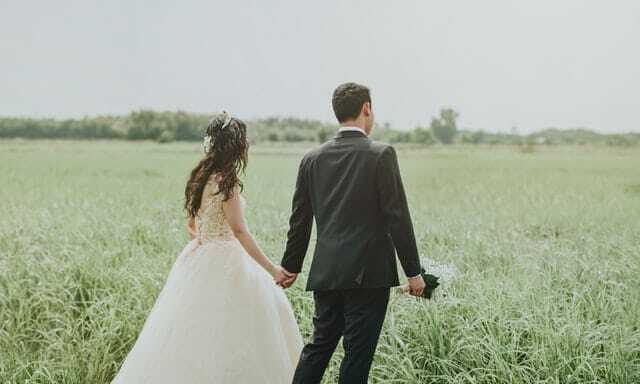 While no one is asking you to wear plaid on your wedding day, having a rustic wedding would give you a chance to turn up your charm by wearing sleek suits or dresses that spell love at first sight. Seeing how groom’s can turn up in a suit and have it considered rustic by adding a few elements to it, it gets to be vastly different for brides, it is imperative for the bride to be to select a dress that ties together with the chosen theme. Given the nuances that come with a wedding dress, you can choose from a list of vendors in your local area so that you do not have to subject yourself to a last minute fitting on an internet-ordered outfit. However, in order to make up your mind on what you are looking for, searching for design ideas on the web would only be prudent. Vogue might always remain the top choice in this aspect, which would allow you to look through multiple options and thus give you the opportunity to set your eyes on the perfect dress for yourself. Apart from fashion, the other aspect you need to look at from a design perspective are the overall decorations, table setting and other aesthetic elements that add to your theme. Pinterest is known as the Holy Grail of design ideas, and it makes sure to deliver when it comes to rustic wedding design ideas. From here, you can finalize design elements that speak to you and then have a discussion with different vendors on how to go about fulfilling your requirements. In order to plan a wedding that remains a treasured memory, you just need to take care of a few basics while going with your bride/groom instincts. Rustic or not, if you make all decisions while putting your and your partner’s priorities in mind, you will certainly be able to put together a day which will live on in your memories for ages to come. Whatever choices you select, remember that it is yours and your partner’s special day and your choices should therefore take the utmost priority. By treating the two most important people at the event with this level of respect, you would be more than halfway there with planning the perfect wedding.